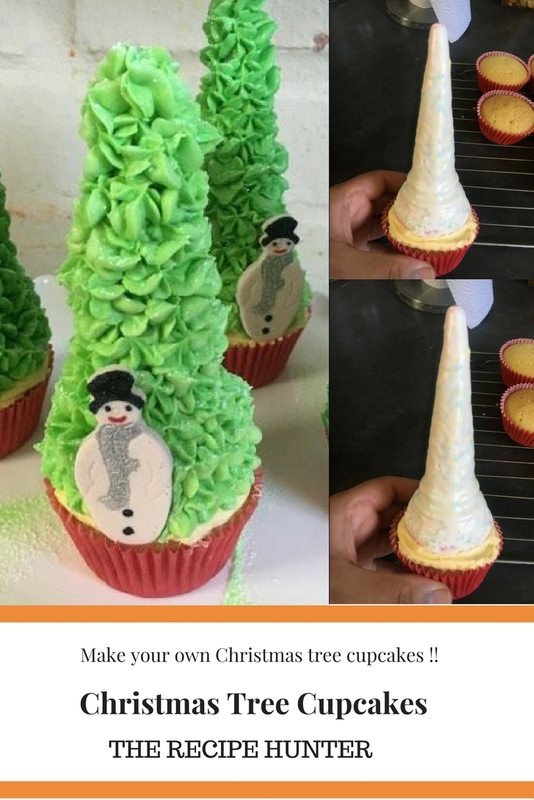 Make your very own Christmas tree cupcakes, easy and so pretty !! 12 ice cream cones, dipped in melted candy melts. Add about ¼ cup milk to the chocolate, to create a smooth paste. Dip each cone, all the way to the top into the candy melt mixture. Taking some plain buttercream icing, ice the top of the cupcake. Stick a cone on top of the icing. Then using the leftover buttercream icing, add some food coloring to make it a green color. Using a piping bag, fitted with a 3-star tip, pipe up and down the cone, till the entire cone is covered.